A coaxial car speaker is a loudspeaker system whereby individual driver units emit sound from a single axis. There are two kinds of coaxial speakers. The first is a compact design that uses between two and three speaker drivers – which is the typical car speaker setup. The second is coaxial speakers, which are known as single-source speakers. In car audio, coaxial speakers are either two or three-way loudspeakers. These speaker setups have a tweeter or a driver mounted in front of the woofer. This setup places the tweeter slightly obscuring the woofer. 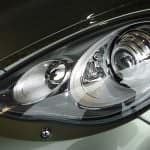 The reason this design has become so popular is that it uses up a smaller amount of space, which is perfect for cars which require a lot of electronic space. 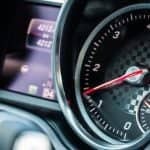 Coaxial car speakers are also called “full range” speakers, owing to the fact that they are designed to reproduce as wide a range of audio frequencies as possible — all from just one unit. 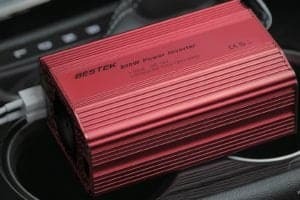 The speakers use the same kinds of audio drivers that are found in regular component speakers, but they have been combined to save space in the vehicle. The drivers being placed in front of the woofer don’t affect low-frequency sound waves too much, either. This car speaker setup was popularized in the 1970s, and today remains one of the most popular audio setups for vehicles. 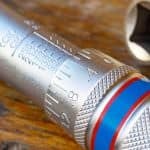 When planning to replace your vehicle’s audio setup, it’s important to understand how coaxial speaker setups work, and what makes a speaker the best you can buy. If it’s perfect sound quality you’re looking for, component speakers may be better. 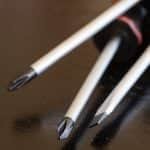 If you are, however, more concerned about cost, compatibility, and ease of use, coaxial speakers are far more convenient. While component speakers offer a generally better sound quality, coaxial speakers are much easier and less expensive to install. 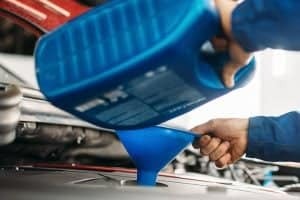 This is owing to the fact that most cars use them as standard, so replacing them is very simple. In order to install your car coaxial speakers, you must first locate your car’s speakers. 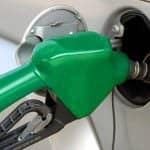 Usually, they will be located within the door panels, though this can change quite significantly depending on the age and model of your car. Assuming your speakers are located in your doors, you should begin by removing the door panels. If they are located elsewhere, make sure the speakers are accessible. In most cars, a simple screwdriver will allow you to undo the screws that hold the door panel together. This will also work for other panels, including dashboards. Once the speakers are accessible, you will need to remove them. Some vehicles have speakers held in place with screws, but most are held in place with rivets. In order to remove the speakers, you may be required to drill the rivets. When the speakers are loose, you’ll need to disconnect the wires. When the speakers have been removed, simply unbox and prepare your new speakers. As long as you have chosen the right size speaker, it should be fairly easy to replace the speakers. In some instances, you may have to do some rewiring. 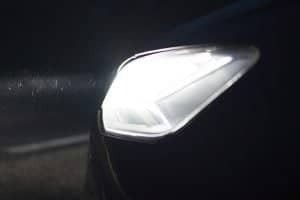 Not all wire connectors are designed the same, so if you are not familiar with car electronics, it might be worth contacting a professional. Once you have the connections ready, it’s simply a matter of hooking up the new wires. Then, you’ll need to place the speakers back into their original sockets. If you have purchased the correct size speakers, they should fit nicely into place. You may need to use glue to replace the rivets, otherwise you can simply screw the speakers back in. If your car has tweeters already, you could benefit from replacing those too. If you don’t have tweeters as standard, you can install new ones to your car’s A-pillar, or behind the door panel with the speakers. Finally, once you have connected your speakers to the amplifier, you can go ahead and put your door panels back, and the process is complete. Be sure to test the speakers thoroughly, and check all connections, before you put all panels back. This means you won’t have to remove the panels once again if you realize you have made an error. 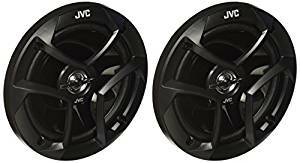 JVC’s CS-J620 6.5” speakers come in a set of two. They are a mica cone design that has a hybrid rubber and cloth surround and are black. This means the speakers can easily fit in with whatever style of car you have. They also have a 1” poly-ether imide balanced dome tweeter, and the speakers are 300 watts at their peak. 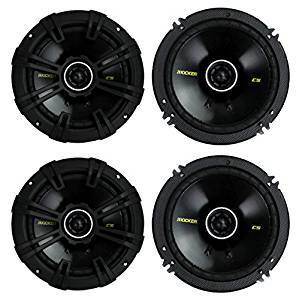 The set of two speakers are extremely affordable, and despite being on the budget-end of car coaxial speakers, they are widely considered some of the best and most versatile sets of speakers you can buy. 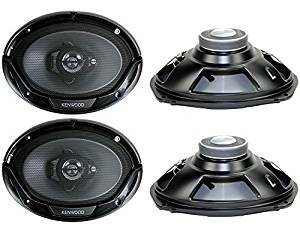 4×6 inches in size, these full range coaxial speakers from Rockford are a mid-range product designed for use in a wide range of vehicles. The compact speakers can handle 70 watts of power and offer 90Hz-22kHz frequency response and 90Db sensitivity. 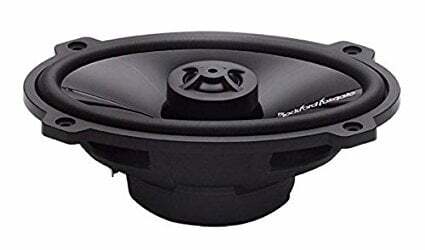 The speakers include a PEI dome tweeter (with a built-in crossover setup), and the speaker’s polypropylene molded cone has a rubber surround for durability and longevity. These full-range speakers also have Flex Fit basket, meaning that they can be slightly adjusted when installing them in your vehicle. If the speakers aren’t the perfect size, the Flex Fit basket will bend just enough to squeeze it in without damaging the speaker or affecting its performance. Kicker’s premium CS Series speakers are made of more premium materials and are designed to offer superior sound. The speakers can handle 300 Watts of maximum power, which translates to 600 Watts of power per four speakers. The speakers can also handle 100 Watt RMS, which translates to 200 Watts per four speakers. The 6.5-inch woofers come complete with half-inch tweeters. The premium speakers are designed to be easy to install and are the perfect size to fit in a range of older and modern vehicles. Kenwood’s mid-range car coaxial speakers are designed to look modern, and easily fit into a range of vehicles. The 6×9” oval speakers come in a pack of four, giving you value for money, and they can handle 45 Watts of power, which translates to 90 Watts of power per four speakers. Included in the speaker bundle, you’ll get a 2” PEI balanced dome speaker, and the grilles ensure that the speakers emit the best sound, without risking being damaged by everyday car wear and tear. 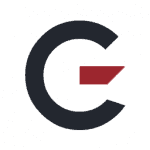 CT offers a pair of coaxial car speakers with a premium feel and a mid-range price. The Bio Silk Dome speakers are 5×7 inches in size, come with two pieces, and are designed to look modern. The speakers come with a black PC spider, and thanks to the plastic cone and Nitrile Butadiene Rubber surrounding case, you can expect high-quality sound, as well as durability. The tweeter is placed in the center of the woofer on the speaker, meaning you won’t need to install a separate tweeter when updating your speakers. The speakers have a mounting depth of 2.07 inches and can handle up to 60 Watts of power. CT designed the speakers in an oval shape, and they come with all the wires required to install them. 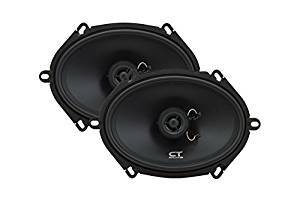 CT’s Bio Silk Dome Coaxial Car Speakers are arguably one of the best coaxial car speakers on the market, owing largely to the product’s value for money. As well as a premium feel and look, an all-black appearance makes them suitable for a variety of vehicles. The tweeter installed in the middle of the woofer makes the speakers widely accessible. The speakers reach a maximum of 89dB, and the shallow depth means they should be easy to install on most vehicles.